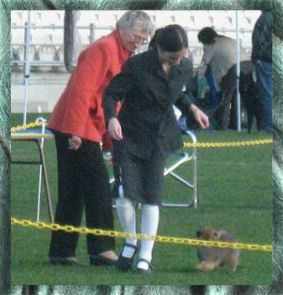 We started showing early 2006, and decided early on to produce not just dogs for the show ring, but we wanted healthy, happy well adjusted dogs. We take the dogs health seriously, in 2018 Trish is now the breed health advisor for the Pomeranians. We health test our breeding stock to ensure pups have best start in life. Some of our successes are group and in show awards, but our best acheivement to this date is the happiness we provide from people who have brought a happy healthy puppy from us. Its a win win for all!! Trish started her Judging carreer in 2014, something she is very passionate about. We love to make freinds, so do pop along to a show and meet us, wed love to meet you and chat dogs! I am on facebook, you can join me there to see more antics of my special furry kids!